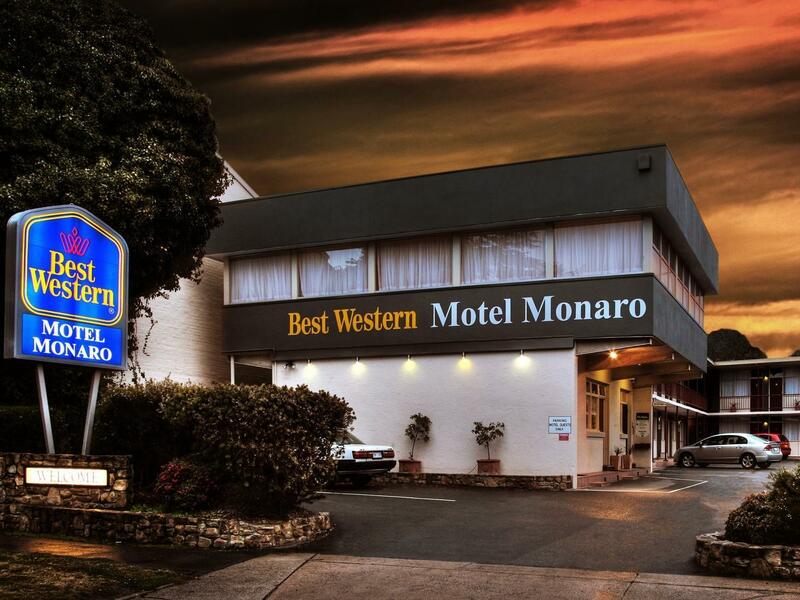 يشكل BEST WESTERN Motel Monaro بموقعه الممتاز في المدينة نقطة انطلاق جيدة لاستكشاف أفضل ما فيها من معالم ومناطق نابضة بالحياة. إن موقعه الجيد الذي يبعد 5. Km فقط عن مركز المدينة يساعد النزلاء على الاستمتاع بمعالم المدينة ونشاطاتها. يوفر العقار بفضل موقعة الجيد وصولاً سهلاً إلى أهم معالم المدينة.
. إن الخدمات التي يقدمها BEST WESTERN Motel Monaro تضمن للنزلاء إقامة مريحة. يقدم العقار مجهز لذوي الإحتياجات الخاصة, مكتب الاستقبال على مدار الساعة, صف السيارات, خدمة غسيل الملابس, الحيوانات الأليفة مسموح بها لضمان الراحة القصوى لضيوفه. استمتع بوسائل الراحة الراقية في الغرف أثناء إقامتك هنا. بعض الغرف تتضمن تلفزيون بشاشة مسطحة, اتصال لاسلكي بالإنترنت, اتصال لاسلكي بشبكة الإنترنت (مجاني), غرف لغير المدخنين, مكيف هواء لمساعدتك على استعادة طاقتك بعد يوم طويل. كما أن مجموعة الخدمات الواسعة الموجودة في الفندق لضمان راحتك تترك لك الكثير من الخيارات لقضاء وقتك أثناء فترة إقامتك. 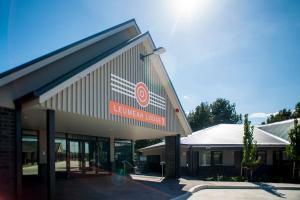 إن كنت تتطلع إلى إقامة مريحة وهادئة في المدينة، فستجد في BEST WESTERN Motel Monaro بيتك الثاني. As always, it was very convenient for us, making a family visit to Canberra. We stayed during Floriade and so paid $185 for 1 night (I'm not sure what the normal rates are). The room was ok, very small but clean & the bathroom was well maintained. The bed was comfortable and sheets were clean. The carpark is small & when it's full it's not easy to maneuver. Not worth the nightly rate though. GREAT. WOULD RECOMMEND THEM TO FRIENDS. I was very comfortable during my stay however there was an extra charge of $40 upon arrival and I was told the prepaid booking system got it wrong. Comfortable bed, very clean, no strong perfumed cleaning spray. This motel offers a perfect experience away from home. Little biscuits delicious. Had a brief stay in Canberra. Clean, well presented room. Staff were friendly and advised of various attractions in the city as well as points of interest close to motel. Overall, room is just nice for solo traveller. Not sure about if the bigger rooms are suitable for families with kids. Parking quite tight for bigger cars. Some of the rooms have backyard facing a big carpark which can be a bit noisy at night but still acceptable. Best of all was key access via the locked back gate to the Kingston restaurants and shops. Room was good, breakfast also good. Easy to catch a bus if you can figure out the bus schedule. The hotel room was small and it was on the second floor with no elevator onsite. Lots of singing birds in the neighborhood. Quiet for sleeping until the birds started. Very, very clean room was bonus as well as free wi-fi. Room is much smaller than expected, even bathroom is also very small. Can see that they had fully maximize every space available. Staff location and nearby restaurants. Can't speak too highly of manager and staff - best experience I have had at a motel. Little things like FOC detergent in guest laundry. Great quiet suburban location next to local shopping centre with a selection of around 20 excellent cafés, restaurants and bars. Close to Burley Griffin cycle tracks, and they will hire a bike to you so all the major attractions are withing easy, flat cycle distance.